Nintendo has always believed in the power of local multiplayer games. The company built a business creating digital experiences that are best when shared by people sitting in the same room, on the same couch -- not simply connected via headphones and tinny chat services. The Switch is a testament to this history. The console itself doesn't support voice chat or online invitations, instead relying on a separate smartphone app to connect anyone who dares to play Splatoon 2 with a friend in another city. 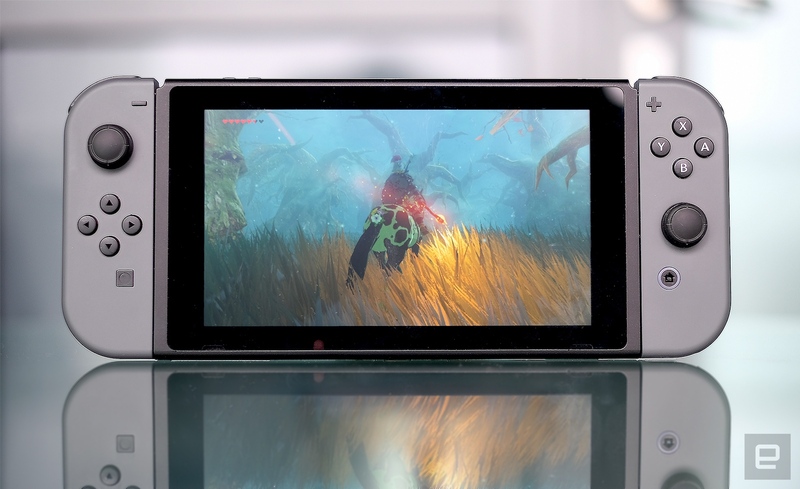 The hardware is built for local multiplayer: It's a portable system with two small controllers attached to either side of the screen, making it easy for newcomers to join a game in person. For veteran Zelda and Mario producer Yoshiaki Koizumi, these detachable controllers -- called Joy-Cons -- are the most intriguing aspect of the Switch. 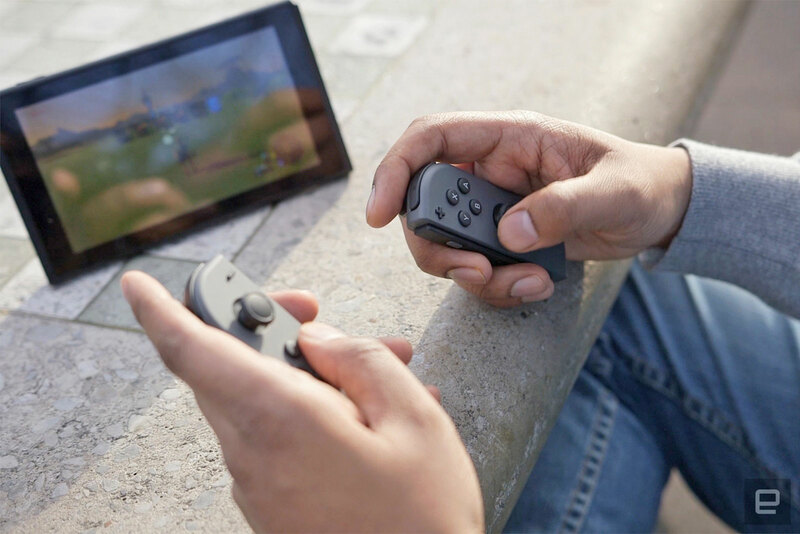 "[A] really exciting hardware feature of the Nintendo Switch is the fact that you can separate the controllers," Koizumi says. "This makes lots of new forms of play possible, and we're currently researching a lot of different and interesting ideas. 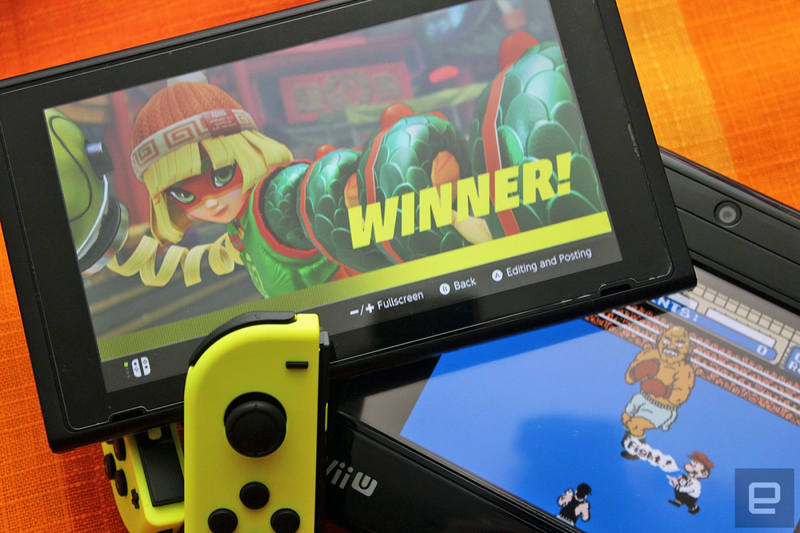 We've also seen many amazing and great ideas from our third-party development partners, as well as the Nindies community." Nintendo's longtime motion-capture guru and director Shinya Takahashi agrees with this assessment. "You can quickly start playing with another person no matter where you are," he says. "This made a big difference in how we thought of the experiences in 1-2-Switch, which also has a lot of experiences that make use of the HD Rumble feature as well. These are experiences you can only have with Nintendo Switch. We would like to continue making new types of software that make use of these unique features of the hardware." There's no word on what specifically Nintendo is building with these Joy-Cons in mind, but both Koizumi and Takahashi have solid track records designing, writing and animating some of the company's most influential games. Koizumi has been with Nintendo since 1991: He's helped lead the story and design of Zelda games as far back as A Link to the Past. He designed the manual and wrote the story of Link's Awakening; he's the reason Z-targeting exists in Ocarina of Time (and just about every other 3D action game since), and he played a huge role in conceptualizing the three-day time loop of Majora's Mask. Koizumi also helped direct and produce Super Mario 64, Super Mario Galaxy and, most recently, Super Mario Odyssey. He's currently general producer of the Nintendo Switch. Takahashi has an even longer tenure at Nintendo, starting as a designer in 1989 and eventually directing the N64 game Wave Race 64. He brought motion capture to Nintendo in the mid-90s for Ocarina of Time, years before other studios started dabbling with in-house mocap. Today, Takahashi is in charge of a lot at Nintendo as general manager of the company's Entertainment Planning and Development Division. Both Takahashi and Koizumi have adapted to new technologies over the decades, and this hasn't stopped with the Switch. They're now tailoring their design processes to the console's dual controllers and its portable nature. "You can get up and play quickly and have a very enjoyable experience in a short amount of time," Koizumi says. "That has certainly changed how we think about the software side of things as well. Both [Breath of the Wild and Super Mario Odyssey] have some experiences that are tailored for short play periods. For example, in Breath of the Wild you can focus on getting a Korok Seed. In Super Mario Odyssey you can focus on getting just one Power Moon." The Switch has faced criticism regarding its lack of cloud support and inability to save any game progress to external storage devices. This means if the system breaks, is lost or stolen, or someone accidentally deletes your 140-hour Zelda save file, you're out of luck. Call this another result of Nintendo's reluctance to truly embrace the online ecosystem. However, Takahashi says the biggest criticism he's heard about the Switch is that people want to buy a console but are unable to track one down. "We're trying to address this by increasing our supply," he says. The foundational idea behind the Switch, according to Takahashi, is the way it allows people to play "any time, anywhere, with anyone" -- in person, of course. He delights in watching people boot up Breath of the Wild in public or start up a Mario Kart 8 Deluxe match at parties, but he wants to see even more. Nintendo has sold a respectable 10 million Switch consoles since its launch in March -- which means there are at least 20 million Joy-Cons out in the wild. "We want more people to have these kinds of experiences, so that's what we have been working towards," Takahashi says. "But that's also why I feel that it is too early to talk about our success. Rather, I feel like we are still on the road to that success. We would like to see so many more people having these experiences, and I do believe that we can get there."